A lot of content gets uploaded to YouTube and other video content sharing sites every minute of every day. A mind-boggling amount of content leading to eye-popping statistics which vary depending on who you are asking, mainly because they are changing and not consistently posted. We have averaged out a few estimates to give you an idea: 400 hours uploaded a minute, 210 million hours add each year. That’s a lot of content! But there are a lot of people watching! Four billion videos are viewed a day by over one billion unique viewers. So, let’s get after those users! Keyword: Has a few definitions but the important one for us is as a search term Internet users are entering into a search engine. It can be simple or descriptive, determined by the number of words (one to a phrase) and what and where it describes. Choosing the right keywords is important to maximize click-through rates, and using a keyword optimization tool is important to select the right words that describe your site. Tags: Tags are similar to keywords. YouTube uses tags instead of a video description (keywords. YouTube allows you to use up to 500 characters to describe tags and it is good practice to use all of them. If you’re looking for a difference between tags and keywords, keywords are used to find things via search engines; tags are used to find things within your own video content. The important thing here is that they are practically the same thing and function similar to keywords when searching videos. Now, it might be obvious to state this but is important to recognize that all of that YouTube content out there is inconsistently tagged with Keywords/tags in the titles and description and tags. Reasons for this are that Videos often have so much content that 500 characters of tags/keywords is not nearly enough info to describe it. If a picture can paint a thousand words. How many words could be used to capture a video? You must choose your words carefully and yet also try to encompass the extent of what you have created in your video. Another reason is that videos are labeled and tagged by the video uploader. The video uploader may not be good at identifying keywords. They may also have a strange or different perspective of their work resulting in strange tags. International influence: 80% of users are from outside the USA. This means different descriptions, different perspectives, and, ultimately, different tags and keywords. That’s a few issues to contend with but fortunately, you have a few tools to help you solve them. 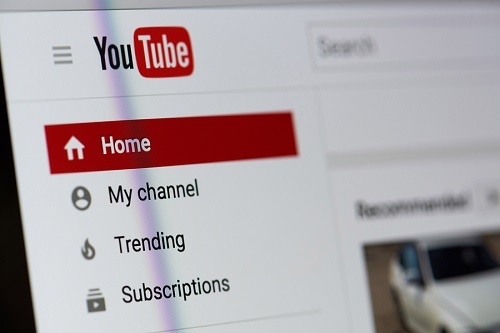 The challenge here is that popular videos dominate popular keywords and tags. (Shocking) If there are ten thousand videos about funny dogs, it is unlikely yours will garner many views if it is labeled as another funny dog video. Ask yourself what category your video is in? Is it a product review? A how-to video? A compilation? A video log? A parody? There are a lot of video categories and different categories of video respond better to type keywords and tags. If you have created the content of this video, take a look at your creative process. Did you have a specific message in mind? Is there a dominant theme or overriding characteristic? Keywords and tags can often be used to search for styles of content. A keyword optimization tool can help define which keywords and tags describe that style. What is your YouTube video about? Who does that appeal to? You have created content that likely appeals to certain audiences. Ideally, it is in line with your target market. If you are selling skateboards to senior citizens and you create a video, your Tags and Keywords should appeal to the general characteristics of your demographic. It’s easily done with our basic example, and likely a lot more difficult when it’s an example such as a teenage boy that likes video games. There is a ton of content out there that is keyword/tagged at teenage boys that like video games. Big, juicy, obvious targets segments for categories will have a lot of keyword/tags. The best line of attack here is to discover new keyword phrases based on searcher intent. This is where a keyword optimization tool can be incredibly beneficial by identifying specific contexts in which keywords are being used. Of course, doing that on your own can be challenging. The frustrating thing is that in a lot of these busy & popular categories it is constantly changing. Partly because people are always coming up with new verbiage and terminology and also they are doing this in part because old keywords and tags can get clogged up on the search engine and YouTube search results. A follow-up point to this is that Keywords and tags in your content can and should be refreshed. As search terms shift over time, your content will potentially become less searchable. Refreshing your tags and keywords with a keyword optimization tool is a good practice to keep your content relevantly searchable. Where to tag your video and how to describe it. YouTube Videos can be tagged in the title, the description, and in a specified tag box. The title and the description are searchable content on search engines. These are the keywords that show up when people search. The Title should include your 1–3 target keywords. It should be descriptive and relevant. The description can be a maximum of 5000 characters. It displays on the YouTube screen in two sections: one that is immediately visible and the remainder under a “show more” link that expands the description. These first few visible lines should be prioritized for describing your video and displaying your keywords and tags. The remainder can have links to your channel, content, and website so that viewers can learn more. There are a lot of people out there watching YouTube videos. To get your video seen, it needs to look good but, more importantly, it initially has to be described good. Now that can be a continually shifting target or the well-protected domain of well-established provider. Your best weapon in this fight is a keyword tool that identifies the latest keyword searches and identifying your content accordingly.